Human resource strategy implementation is much more difficult. There are several factors both internal and external which will impact on the particular HR strategy implementation process. Determine however best to facilitate implementation for human resources strategic management goals completion, in order to overcome any obstacles that might stop the human resources strategy from coming to fruition. One need to orchestrate your steps carefully. Ensure The Alignment Of Your HR Strategy With Overall Business Goals. 2. Make sure the company ethics and mission are perfectly woven into the HR strategic setup. To enhance interpersonal communication and conflict resolution skills, a part of the human strategy ought to be work training and development if your overall business goal is to supply superior client service. 3. Measure the present level of support for HR strategy. Verify the level of support you receive from supervisors and managers when you unveil some parts of strategic changes. 4. Your possibilities for failure increases once the staff sense lack of unity between management and human resources even if the Management buy-in is essential. 6. Make sure to hold managers' in charge of modification within their own areas. Ensure about the incorporation of the HR role in implementation into managers' performance standards. Observe HR Strategy In Action Among Different Departments. 1. All of your organizational departments ought to demonstrate equally high levels of support for HR strategic goals. 2. There'll inevitably be dissension and cross-departmental functions will suffer as a result of it if some staff in one department embrace the modification and staff in another department resist the modification. 3. To take root for human resources strategy, collaboration should be evident. The good technique of developing goals applies to your final step in implementing HR strategy. Good goals should be relevant, specific, measurable, attainable and time-conditioned. Focus your attention throughout the implementation method on measurable progress. Measure your productivity before implementation. Measure your productivity and goal accomplishment, throughout various stages of implementation and also once human resources strategy is in place. Among the strategic plan of each organization, human resource strategy has its own part. Confirm what number of individuals you may hire by the event of a strategic plan. HR then performs the hiring process to recruit and select the proper person for the proper jobs based on the strategic plan. 2. Basic company policies. To reach the strategic plan’s goals development of policies is the job of HR. Communication of the policies at vacation times, and flextime schedules on safety, security, and scheduling ought to be developed by the HR department when the policies are developed. Tips For Successful Implementation Of Human Resource Policy On Entire Department. Deciding proper purpose for a successful HR policy is one of the largest elements of implementing it. HR provides your business with an outlet for staffing or personal issues so that HR is great for you and your workers. But, you should explain along with your workers clear and crisp about why you're adding this new department to your business. The need to explain that the expansion your company has achieved within the past year and need to clarify the needs to style and implement HR strategy to make sure the corporate run efficiently within the future. II's necessary to convey that the implementation of the HR department shouldn't seem to be created any pressing problems or circumstances. You will additionally wish to be clear your expectations with the entire business regarding obtaining from adding a Human resource department to your company. this manner you'll be able to be sure that this new department is properly handling all its functions. You'll be able to notice and implement the proper sort of policy but you should take care to list all of the tasks you would like your hr system to handle in order that. The next step is truly establishing a human resource department. Then ensure the department role is known throughout the entire company. Then the members of the HR team will be handled designate specific tasks. To attract talented manpower to your business, your HR department should additionally work on implementing techniques. To attract talented manpower to your business, the human resource department should additionally work on implementing techniques. This suggests they ought to come up with an aggressive attempt to hire the proper kind of people by attending college job fairs and reach out to candidates on job sites, LinkedIn etc. For a way to data disseminated throughout your business, the hr Strategy ought to include standardized procedures. 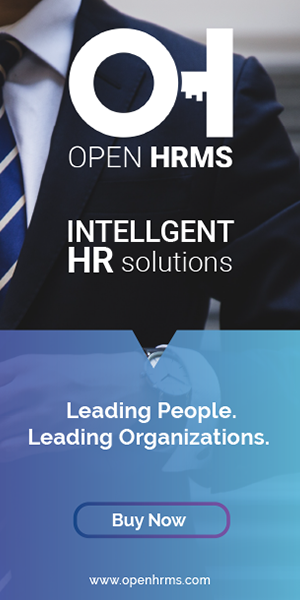 The HR management can assist you and can be useful to achieve open communication pathways inside your company once employees Resign or are dismissed from the company. Your human resource strategy must contain data regarding each side of your business. The data should include paid time off to work from home to handling discrepancies. It's up to your human resource department that enforces the bulk of those rules and regulations however you wish to handle these completely different aspects among your business. This suggests for the success of human resource department you just want to confirm specific objectives and goals you want to make sure about You'll be able to measure the results of the implementation for absolutely effective Human resource strategy. Take care of the hr department's current strategy and benefits to your growing company!